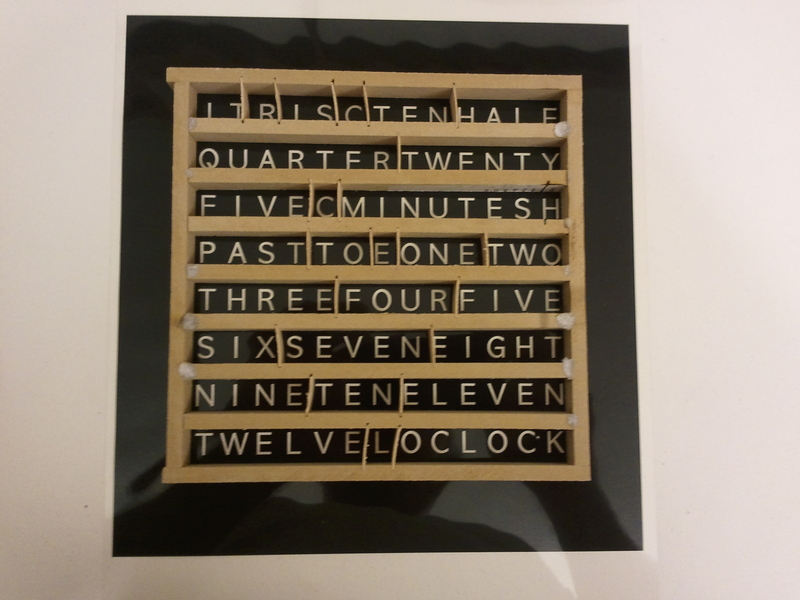 I’ve started building a word clock. For the most part, I’m copying this one, but I’m hoping to include an improvement or two. 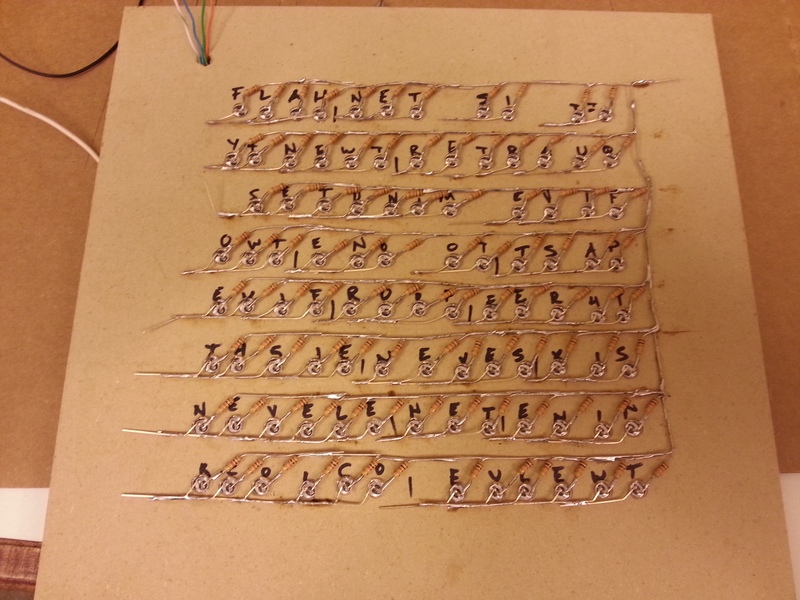 Since the electronics piece is pretty straightforward, I began by building the frame the lights for each word from bleeding into the next. The moment of truth: do the words line up? 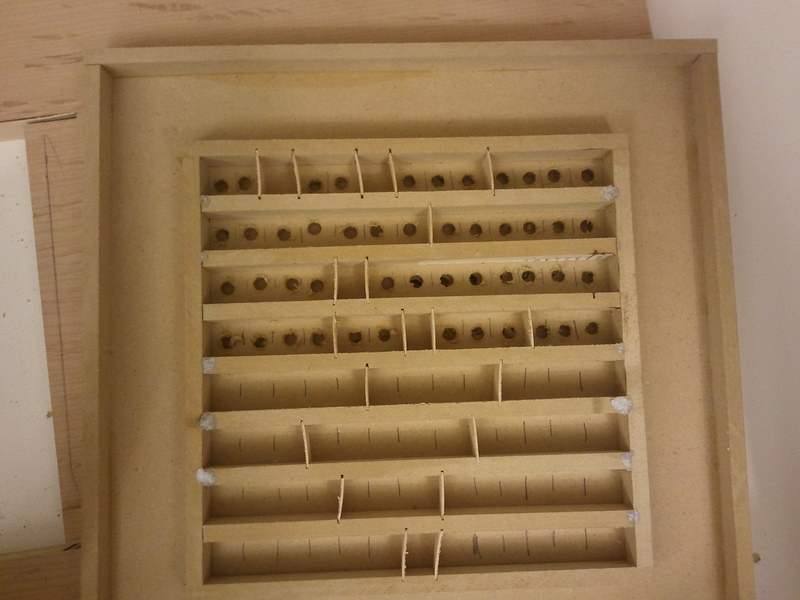 With the frame fully assembled, it was time to drill the holes for the LEDs. 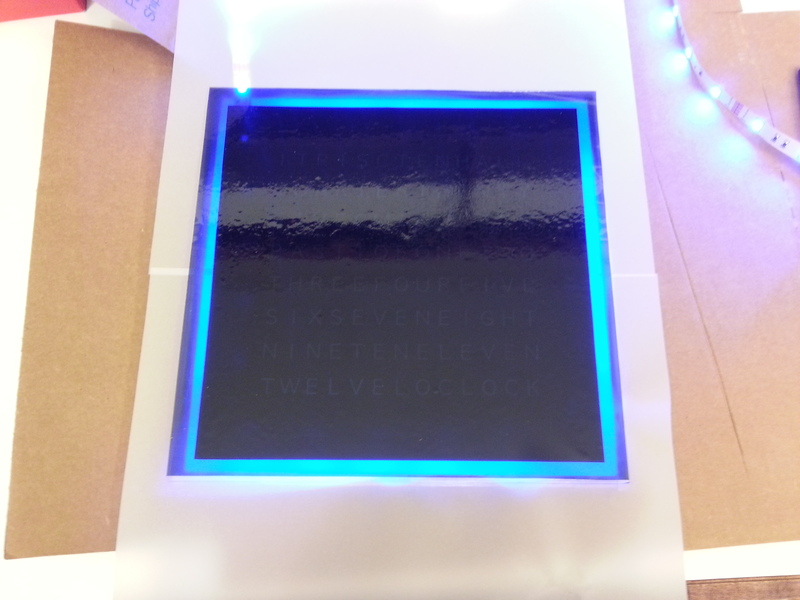 A quick test shows our LEDs are working and the stencil lines up nicely. 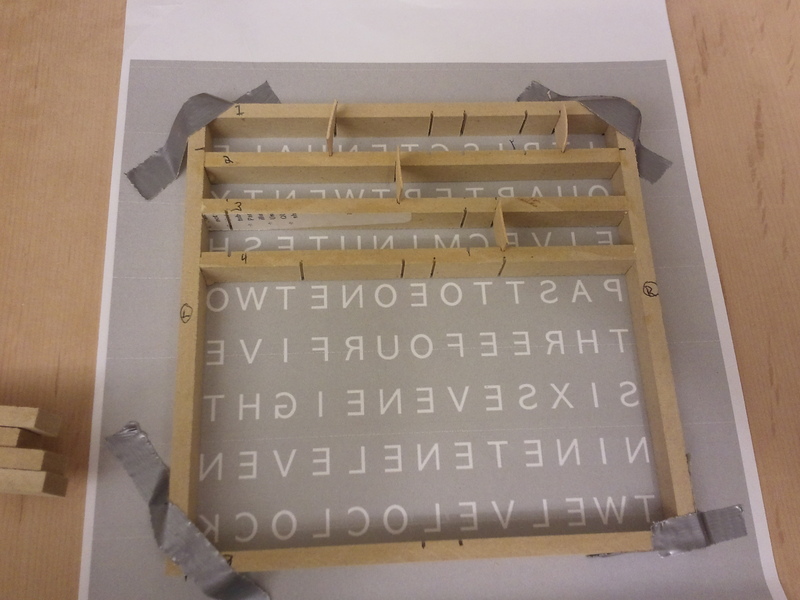 It also shows us that we’ll need to work on the stencils that block the light since the light bleeds through the black parts and makes the words look a little fuzzy. 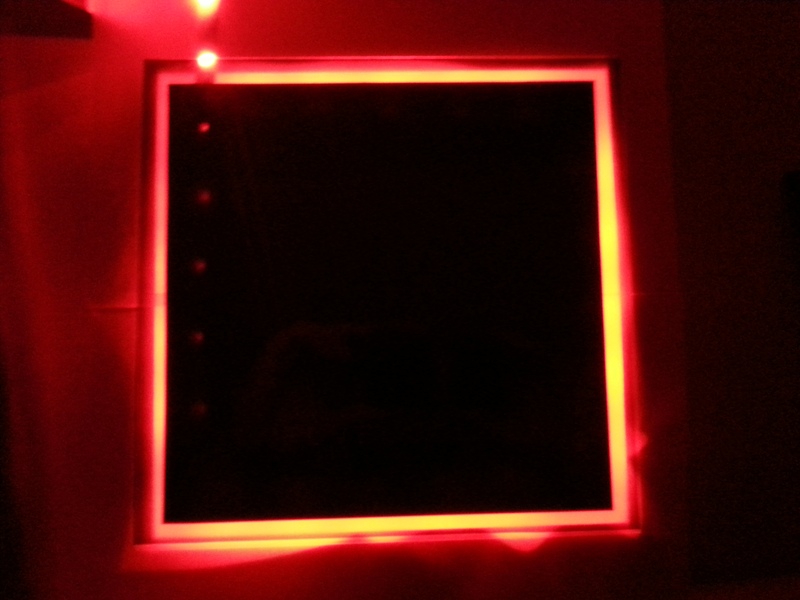 In lieu of choosing a solid colored matting, I opted to fill the space with RGB LEDs. 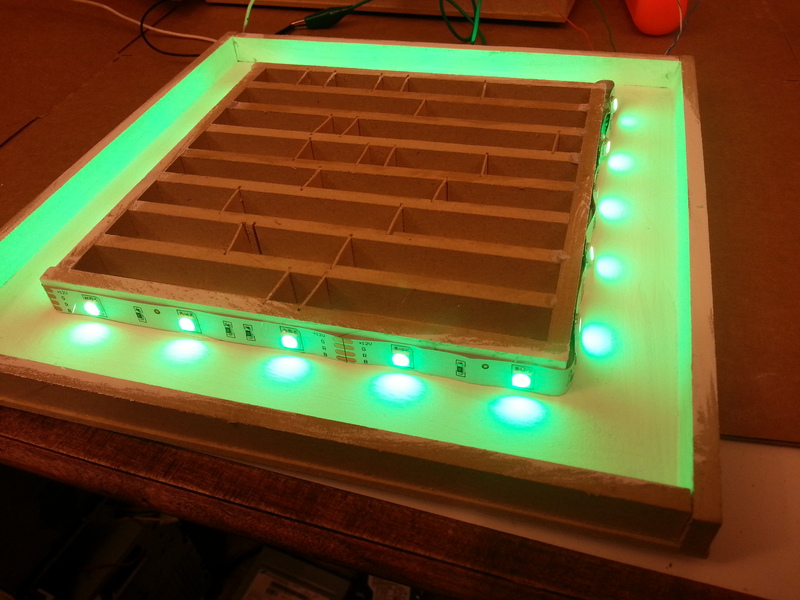 Using LED strips made it easy to mount the LEDs and provides fairly uniform coloring along the edges. 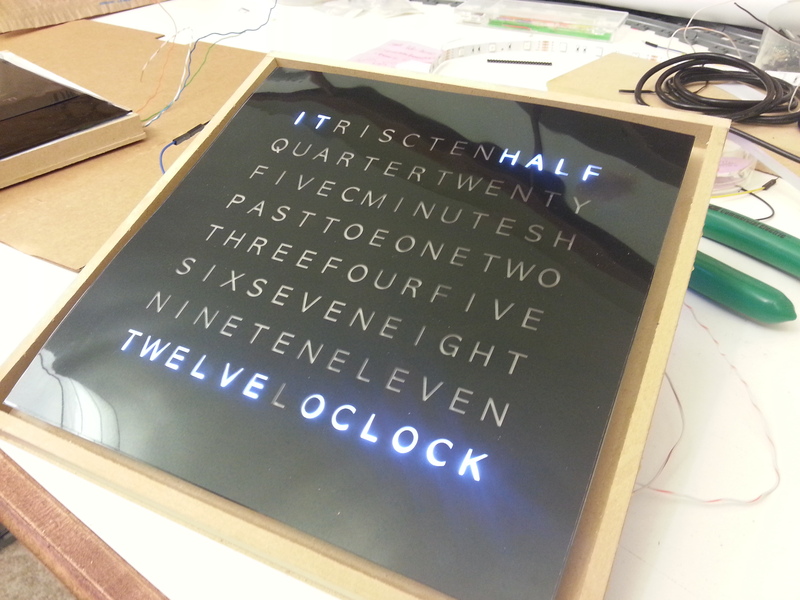 Herein lies my journey through software and hardware development.